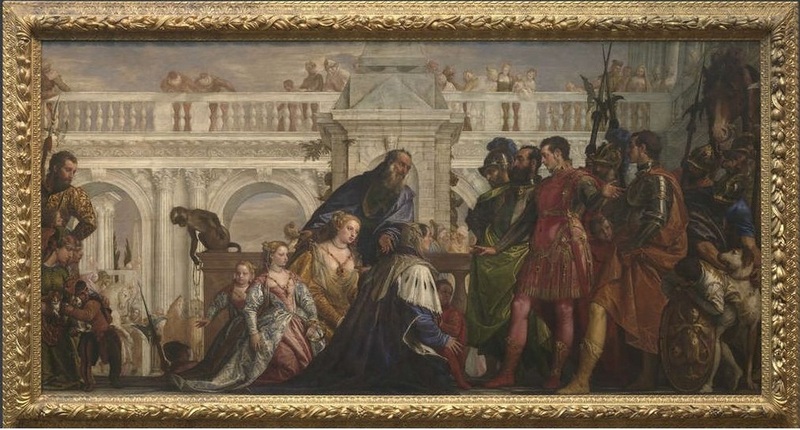 Wanted to share with the Arrian reading group this Mannerist painting by Veronese in the National Gallery in the UK. It shows the wife and daughters of Darius genuflecting before Alexander and his general Hephaestion after Alexander’s victory at the Battle of Issus in southern Anatolia. It is one of the more intimate scenes in Book 2, taking us into the tent of the defeated Persian king, who has fled the scene leaving his family behind. 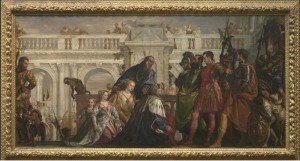 Veronese has taken his Mannerist liberties with the costumes and setting, of course, but he has stuck to the original plot. Note how Hephaestion (whose legs are oddly red) is gesturing to Alexander (whose legs are oddly yellow), indicating the moment when Darius’ wife makes the mistake of thinking Hephaestion is Alexander. When he corrects her, she and her daughters fall to the ground to express their shame. Link to the National Gallery web site where you can zoom in to see more detail.